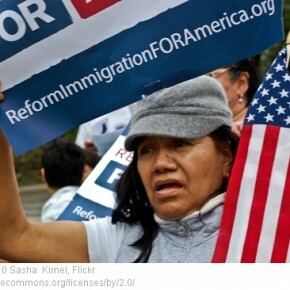 Are we surprised that immigration reform won’t be achieved this summer? A joint Bill Kristol–Rich Lowry editorial unified opposition against immigration reform in a “kill the bill” piece. But the editorial didn’t cite any real issues; the two editors just threw out some general critiques of the legislative process, with its haste and loopholes. The only issue of substance they raised was that the Senate bill paves the way for more low-wage, not high-wage, workers. Well, duh! Who ever worried about high-wage IT workers? They have a way of finding their way into the country without too much red tape. Clearly, the Republicans want the Democrats to fail more than they want to succeed in gaining the Hispanic vote in 2014. Obama met with the Hispanic leaders this morning, and while they may not have much power to turn the legislative tide, the one thing the president can assure them of is that Latinos belong in the Democratic fold. With Latinos making up 10 percent of the electorate in 2012, this realigns them, placing them squarely in Obama’s rainbow coalitionand preparing the Ready for Hillary campaign.